Opportunity Marketing – who are we? 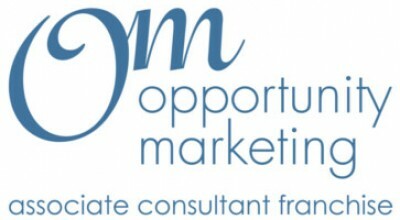 Opportunity Marketing was established in 2008 by myself (Ian Kirk), an experienced marketing manager who, after 15 years of working for somebody else yearned to run my own business. I wanted to create the leading marketing consulting franchise in the UK with the brightest marketing professionals who generated outstanding results for their clients. I wanted the buzz of helping them building their own business and I wanted to earn as they earned… low investment, low risk. What does Opportunity Marketing do? Put simply…we help SME businesses grow profitably through effective marketing. We do this by taking a “back to basics” approach to marketing… mainly with businesses who never had the basics in place. Most businesses don’t really understand what marketing is but know that it is a skill gap within the organisation. We start by extracting all of the information out of them that we need to create a clear strategy, upon which all future activity is based upon. We have different ways of carrying this out from a basic consultation to the development of a full marketing strategy and implementation plan. Clients then have the option to retain our services at a variety of levels to assist in the implementation. Opportunity Marketing’s offering is targeted specifically at the SME market, so experience of this sector is a real advantage. Most of our long term retained clients are young, ambitious for growth and around £1m-£5m turnover. We do also however service pre-starts, start-ups and £30m+ businesses. Industry sector is not important as our whole offering is process driven, not industry driven. We do not have preconceived ideas of what will work on not work for a specific sector. Every client starts with a blank sheet of paper. We become extensions of our client’s business and there are many customer testimonials that support our approach. On average a client can expect to generate a 450% return on their total marketing spend. The beauty of working for yourself is that you can choose who you want to work with. What are the benefits of being an Opportunity Marketing franchisee? COST/OVERHEADS – Because you have a ready-made brand from day 1, along with collateral (including website) and all client invoicing is created centrally. All you really need is a phone, a laptop with internet access and some smart client-facing clothes and you’re ready to go. The Opportunity Marketing model is also easy to operate from home if that suits you. TRAINING & SUPPORT – It is in our interests to get you earning as quickly as possible, so we will give you all the training and support you need to get your income flowing. FOCUS – All you have to think about is selling yourself and delivering the work. All other distractions such as marketing, financials, proposition, pricing, sourcing suppliers etc is taken care of. COLLABORATION – when you set up on your own one of the biggest differences you will notice is that you no longer have anyone to “bounce ideas off”. The beauty with being part of a franchise is that you do have this resource, with people in exactly the same position as you. EXPERIENCE – you are being guided by a franchisor who has already been through all the pain. You have their vast experience to tap into and learn from their mistakes. SPEED – you can start hitting you earning potential much quicker, because of all the above. What could have taken 3 years on your own, can take 3 months with a franchise. FLEXIBILITY – Your earning potential is governed by the effort you put in – but if you are only available 10am-3pm Mon-Fri you can structure your week to work around this. *Funding of up to £15,000 is available from The Startup Loans Company, a UK government lending initiative where new start franchisees can borrow unsecured and at a low rate of interest for the purchase and establishment of a business. 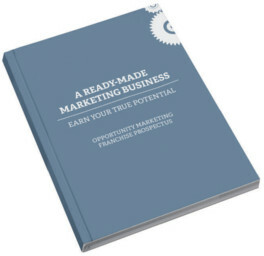 We can provide you with free information from Opportunity Marketing Franchise!